When you are running a kennel you want to choose flooring that is practical and offers a world of protection: protection from the harsh weather conditions, protection from urine and feces, protection from scruff marks and claw prints and protection from chipping, cracking and peeling. The good news is that you can find all of this and more from our range of concrete floor coatings. The even better news is that in addition to offering protection, our floors also provide a beautiful finish that will leave your business looking its best. Even though your main guests will be dogs and cats doesn’t mean you should sacrifice the look of your floor. A kennel floor that looks clean and new is going to mean more business for you in the long run. After all, pet owners are way more inclined to leave their beloved four legged friends in your care if your facilities look safe and clean. Make sure the flooring you choose for your kennel is not only efficient in keeping up with the hounds but also effective in pleasing the owners by opting for a Polytek Surface Coatings floor. Polytek Surface Coatings is a family owned and operated business with several years experience in commercial and residential concrete coatings. Whether your kennel is in your backyard or whether it is in an industrial area, we can help you determine the right concrete covering that will last even in the toughest conditions. All of our floors come with a five year commercial warranty against excessive wear, damage, peeling, cracking and chipping. So bring on the Labradors, the German Shepherds and the Huskies – your floor can handle all of this and more! 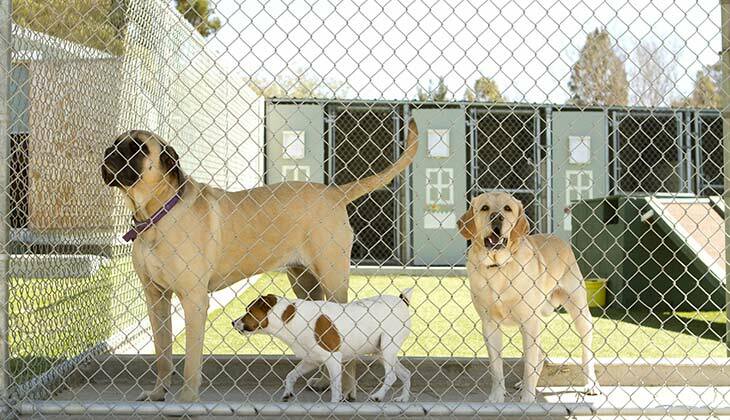 Want to learn more about your options for your kennel? Feel free to contact our team at (507) 380-7655.